John Harris first arrived in Nags Head, North Carolina in 1970 and soon realized he never wanted to leave. It was in Nags Head in 1973 that Harris discovered his passion – hang gliding – and the ideal place to pursue his passion – Jockey’s Ridge. As a young engineer at Western Electric in Winston-Salem, N.C., Harris saw a newspaper photo of a person hang gliding, which was an extremely new sport at the time. After studying the mechanics of gliders, Harris and a group of friends visited Nags Head to give it a try. Harris soon left his job to attend graduate school at Old Dominion University in Norfolk, Virginia, because he thought it would be fun to attend school close to Jockey’s Ridge. The more trips he made to the dunes, the more passionate he felt about the sport. In 1974, he and a business partner opened the first Kitty Hawk Kites location in the garage of an old Nags Head nightclub called the Casino selling hang gliders, T-shirts and a few kites and teaching hang gliding lessons to beginners for only $10 for a three-hour session. Harris had a vision for Jockey’s Ridge and the entire Outer Banks community and set forth to establish the area as a top outdoor recreation and vacation destination. Now with more than 300,000 alumni, Kitty Hawk Kites is the world’s largest hang gliding school. Today, as Kitty Hawk Kites’ president, he presides over a company that outfits hundreds of thousands of adventure seekers who visit the Outer Banks every year for an active weekend or vacation. In addition to running his successful business, Harris has focused much attention on the community. 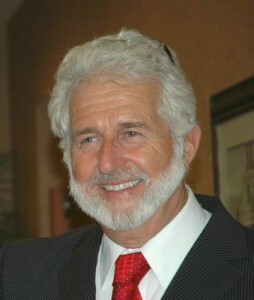 In addition to his work with The Foundation, he supports numerous local organization such as the North Carolina Coastal Land Trust, Dare County Arts Council, North Carolina Nature Conservatory, Friends of Jockey’s Ridge, Roanoke Island Historical Association, North Banks Rotary, Interfaith Community Outreach, the Nags Head Woods 5K, Wright Flight of North Carolina and the OBX Marathon. Furthermore, Harris has been directing his efforts toward promoting air sports. He is the founder and President of the Professional Air Sports Association; a non-profit foundation committed to the improvement of the hang gliding, ultralighting, parasailing, paragliding and kite surfing industries. He is the founder and President of the Rogallo Foundation, which is committed to preserving the artifacts of Dr. Francis Rogallo, inventor of the flexible wing, and world renowned as the father of hang gliding. Harris is past Vice President and current Director-At-Large for the United States Hang Gliding Association. Another recognized commitment of Mr. Harris is his tireless promotion of tourism in North Carolina through recreation and destination marketing. In 2000, the North Carolina tourism community honored his accomplishments when he was recognized as a Pioneer in the North Carolina Tourism Leaders of the 20th Century. He was one of 20 distinguished honorees.